My k-drama friend Zgzgirl came to visit my sister Lil Raine and I for a week. I thought it was because she wanted to visit us and watch k-drama and celebrate my birthday together. The visit was all in the name of proselytizing. How was I supposed to know? She is a sinister being, Zgz unni. She even came prepared with a foolproof plan. Then she charmed my younger sister into delicious giggle fits, mostly at my expense. My dongsaeng loves to giggle. In fact, she’ll keep me up many nights just so I can make her laugh. And Zgz unni is FUNNY. Lil Raine was an easy victory for her. The only being left was my cat, Timmy. He’s a picky little thing, which makes sense – he’s a CAT. But he took to her from the moment she entered the house. HOW did she do that? I don’t even know how to explain it. Maybe he loves the way she teased him – maybe he loves a hard-to-get-woman. In any case, with my household won over, Zgz unni moved onto phase 2 of her plan. We met on Dramabeans so of course we’re both ginormous, nerdy, obsessive k-drama fans. Several times we sat down to watch the newest episode of this or that or to chat about this hot pair of abs or that beautiful face. And then she did it. She mentioned THEM. Of course, I was already a fan of one of THEM from a drama. She had found her “in”. With her handy dandy external hard drive, she pulled up a few variety shows with THEM in it, being goofy or specials with THEM trying to speak English and being nice to countryside grandmas. Who doesn’t love a man who is nice to a granny? There THEY are. The adorable group of Japanese idols. Their faces are everywhere in Japanese. Their acting skills grace drama upon drama. And which one of THEM is her man/boy love? Okay, okay! I’ll say it. ARASHI. Nino! There. It’s out of the bag. We spent half our time watching ARASHI and Nino. 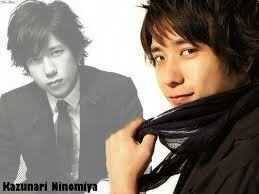 We started a drama, Ryuusei no Kizuna, with Nino and a few other Japanese actors I like. Well, Zgz unni literally ran out of the kitchen where she was making some breakfast and did a happy dance. No, a VICTORY dance. The rest of her time was spent reveling in her victory. We watched concerts and dramas that were occasionally paused to catch up on the newest episodes of Flower Boy Next Door, but it was Game Over. Even after my birthday party we ended up watching ARASHI. On the day Zgz unni left to continue her trip, we watched an ARASHI variety show until I had to take her to the airport. Zgzgirl left with her mission accomplished. I fear for Cherkell and Shel who will host her next. What evil plans are in store for them? OMG this was deliciously funny. I watched some 240p snippets of them from various variety shows on youtube. I was sorely tempted to delve further but scared because I really really didn’t have the time then. I wanna watch them too now, but like, properly, not those pixelated videos on youtube. Where can I download their variety shows from? This question should be directed to zgzgirl unnie. Anyways, sweet sweet victory for her! I LOL’ed at the image of her victory dance. I can imagine how triumphant she must’ve felt. 😀 Good job, Unnie! Yei!!! Zgzgirl mission was an astounding success…I’m so proud of Unni!!! Arashi is the kind of things that must be shared, they are the most adorable beings ever, my bias has always been Matsujun but thanks to zgzgirl I have taken a like to evil/cute Nino and hIS famous 1-pack,LOL!!! 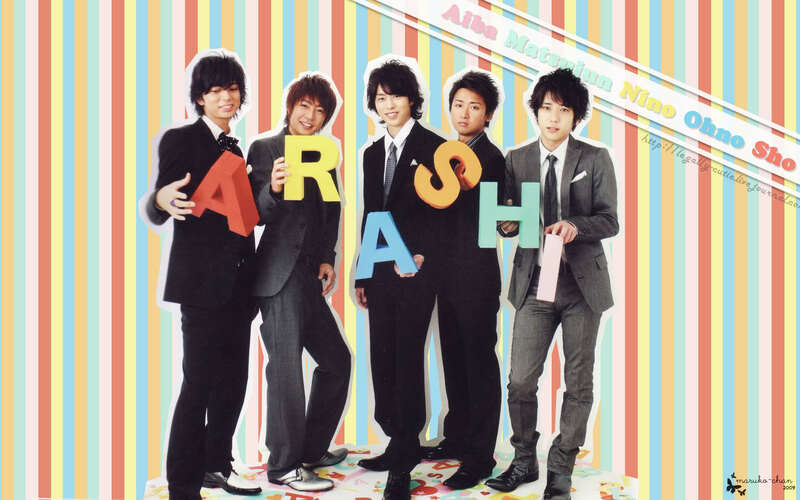 Raine, I can only say…Welcome to our Arashi world!!! MWAHAHAHAHAHA! I’m even more evil than evil Timmy. But there is no way you won’t love them. They are just impossible to dislike. And you my favorite yodongsaeng had to be introduced to it. Fear not, Cherkell and Shel are under good care. I miss you girls. I’ll be back next year with more crazy unni treats. YAY! And I get to read about your adventures for now. I tried to read your Spanish entry and what I understood made me laugh. You’re a good writer! Having now become a fan of Gantz, I’m with you! Bought both Gantz and Another Gantz on BR! !